Volkswagen AG will start local production in Malaysia as part of its plan to pass Toyota Motor Corp. as the top global automaker in sales and profitability. VW will build its Passat model at local partner DRB Hicom's factory in Pekan, central Malaysia, starting at the end of 2011 with the Polo and Jetta models added in a second expansion phase from the end of 2012. VW is expanding production in major global markets including China and opening a new U.S. plant in the Chattanooga, Tennessee, next April, as part of its Strategy 2018 to become the world's No. 1 automaker. VW sales and marketing head Christian Klingler said developing the market potential in southeast Asia "is of major significance for the Volkswagen group's long-term growth strategy." The Malaysian automobile market, where more than 570,000 vehicles were sold in 2010, played an important role in the group's strategic planning, Klingler said in a statement on Tuesday. VW said it will have an initial annual capacity of several thousand vehicles in Malaysia that will be successively increased. DRB Hicom is a major producer of passenger cars and commercial vehicles in Malaysia and is also a key car retailer with a nationwide sales network. VW and DRB Hicom will invest $318 million in the venture that may transform Malaysia into regional automobile manufacturing hub for Volkswagen, state news agency Bernama reported. Auto deliveries in Malaysia, the third-largest economy in the Association of Southeast Asian Nations, rose 14 percent in the first 10 months of 2010, according to the Malaysian Automotive Association. The agreement with DRB-Hicom marks a shift from VW's unsuccessful efforts to enter Malaysia with state-controlled Proton Holdings. Volkswagen called off the latest round of talks with Proton in June. The two companies also failed to reach an agreement in November 2007 after 12 months of negotiations. The VW venture will allow DRB-Hicom to participate in Volkswagen's future plans to export vehicles to Malaysia and other markets in the region, said the company, which is based in Shah Alam, outside Kuala Lumpur. 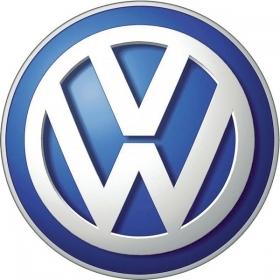 Under the license agreement, DRB-Hicom will sell products to Volkswagen for distribution. DRB-Hicom has partnerships with Daimler AG's Mercedes-Benz division and Honda Motor Co.
UMW Holdings builds cars in Malaysia for Toyota.